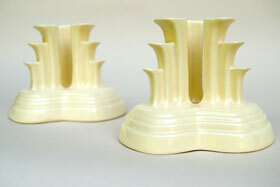 Circa: 1937 - 1942. 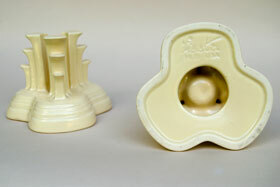 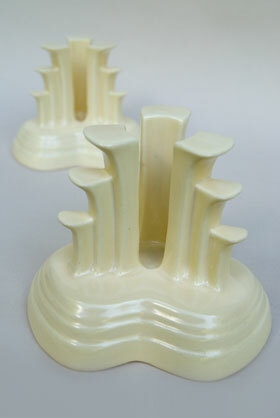 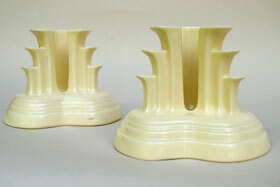 The tripod candle holders are perhaps the hardest pieces of vintage fiesta pottery line to find without damage. 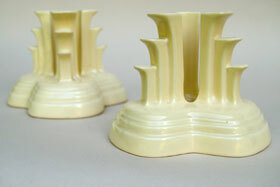 With 27 corners on the tiers it is all too common to find them with chips on the edges. 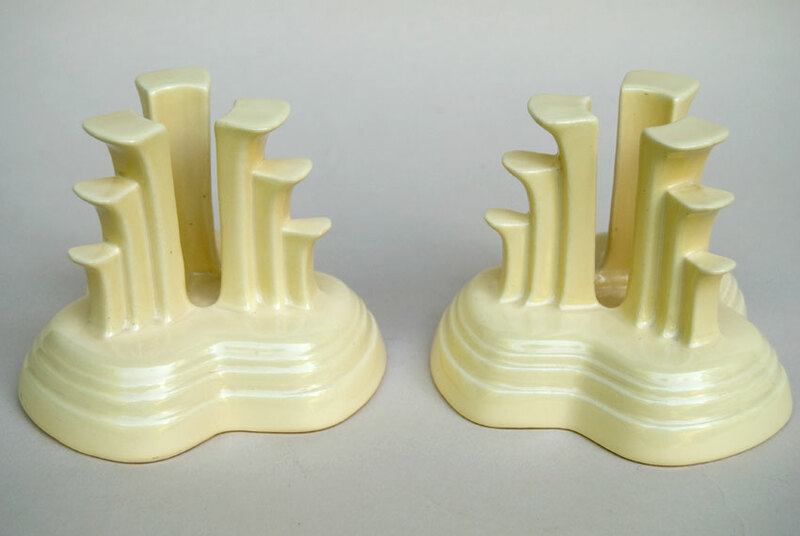 Since I make it a practice not to buy Fiesta pottery with any damage it took a long time to make my first purchase of a pair of the candle holders (occassionally a single will appear, but it is the rare treat to find an original pair in factory mint condition). This example in ivory boasts factory mint condition with no chips, no wear,no touch-ups or repairs. 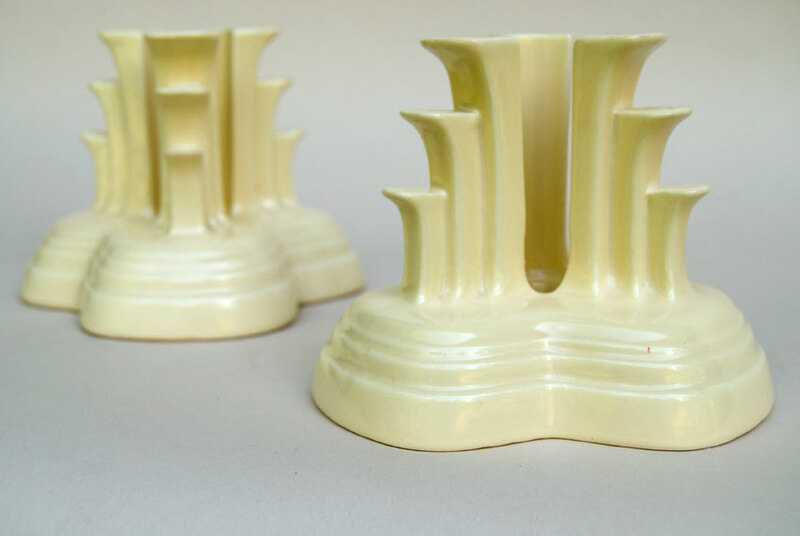 Fully glazed (the new ones will be sprayed and you will find the glaze sprayed on with spatters showing on the bottom inside and not the three stilt marks from the fully dipped process). Keep in mind that vintage pieces were also fired twice, giving the vintage pottery a thick, creamy, opaque quality that the contemporary glazes can't compete with. 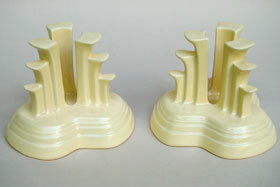 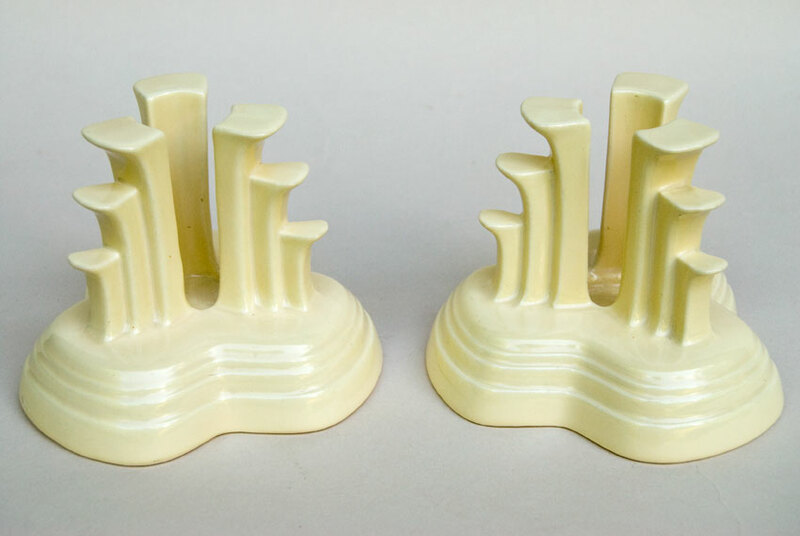 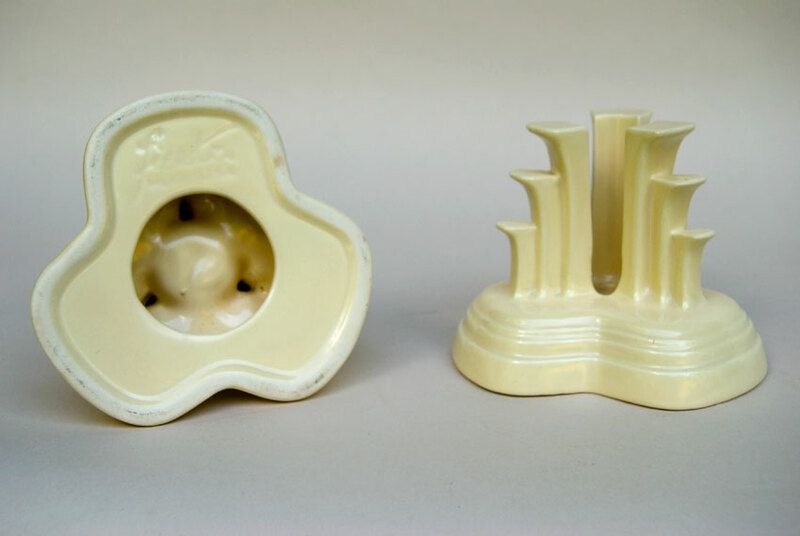 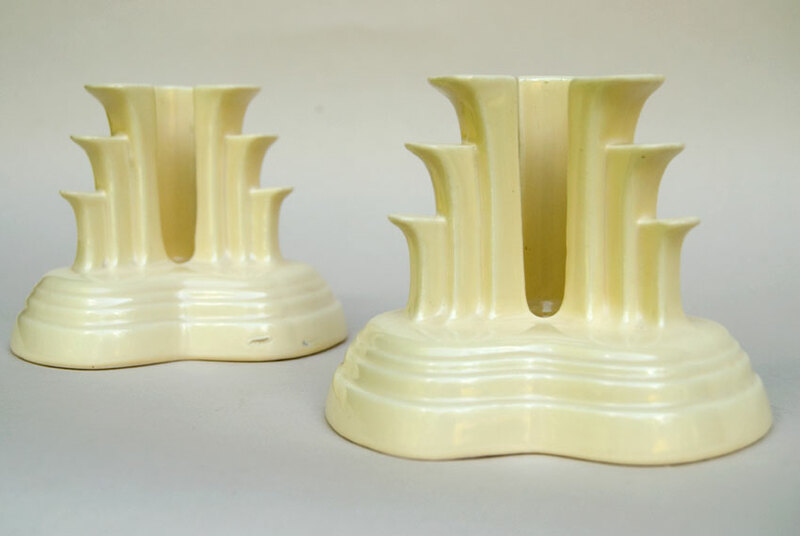 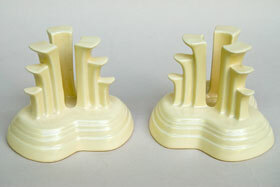 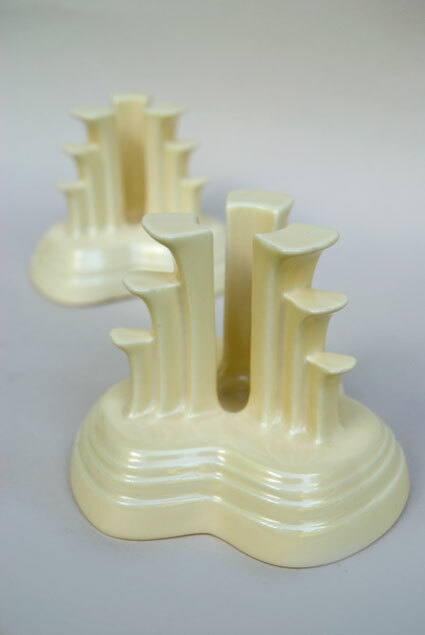 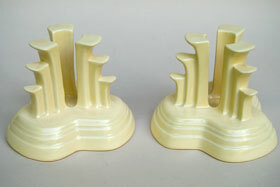 This rare pair of vintage Fiesta tripod candleholders in the hard to find ivory color are guaranteed to please even the advanced collector.